I’ve been overwhelmingly encouraged by seeing how many times are table has been “pinned,” and “repinned,” on pinterest. We entered a facebook contest and were so humbled to have made it as a top 5 finalist along with some other extremely talented designers/decorators. Perfectly honest, we were really bummed to not have won the first place prize of $2500. Also TBH, we were extremely excited to win the runner-up prize of $200. Ellie spent her $100 on clothes for work and I spent my $100 on sandpaper, lumber, and sponge brushes…..yup, we are that exciting. After the contest we were included as a guest blogger for http://blog.forrent.com/ . It’s an awesome blog and you should check it out! You can imagine my surprise in the next couple days as I was perusing Pinterest and the “everything,” category and started seeing a table that looked exactly like ours. It looked identical because it was in fact our dining room table. It’s been such a blessing for us to read all the positive comments and it’s been especially satisfying for me to see others appreciation of something that I put a lot of hard work into. 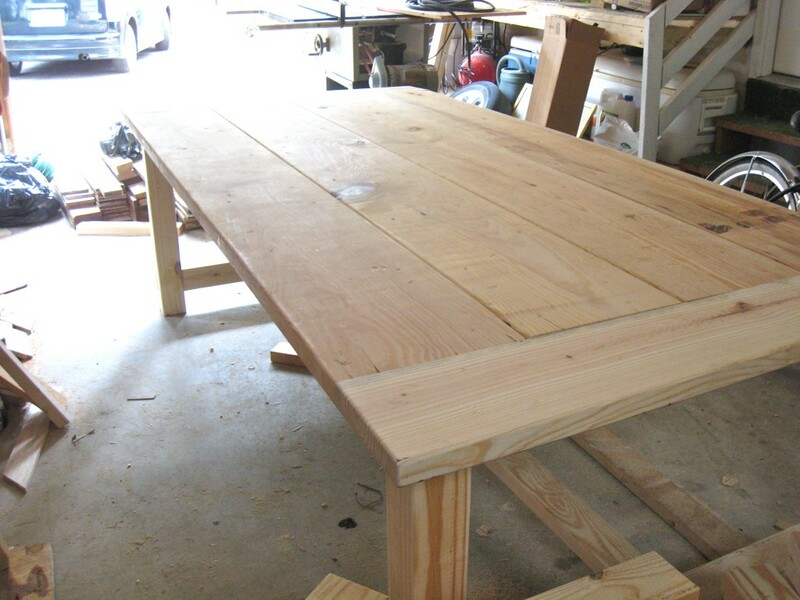 The table is completely unique, hand-made, heavy, sturdy, rustic yet with a stained finish to compliment other decor, and there is no other table that is exactly like it. It’s a table that has a character all of it’s own. As always, if you’re up for the DIY experience feel free to shoot me a comment or email with specific questions. I’d love to help you out along the way the best that I can.